Back in May, the Council also cancelled a planned meeting at Leeds City Museum to discuss media coverage of the Syrian conflict – on World Press Freedom Day in fact (they’re obviously big on irony). As with the WPUK cancellation, a couple of complaints from individuals who didn’t like the subject under discussion was enough for the Council to decide that the museum was “not an appropriate venue” for the meeting. It’s as if city councillors are under the impression that they have a right to decide what is “appropriate” for the people of Leeds to discuss on council premises funded by our rates; or even that council premise literary belong to them – as evident from one councillor’s tweet in response to objections to the WPUK cancellation that “It’s our room”. I think the Council needs reminding that these were both public meetings. As such, any objectors had two choices – don’t attend; or go along and air their views. Leeds Council could have chosen to respond as such, yet in both instances it decided that the views of a few complainants counted for more than those wanting to meet and discuss important contemporary political issues. But in choosing to act in this way, Leeds Council has not only obstructed the right of people to gather and discuss these issues on publicly-funded premises, it’s also made all future meetings provisional on the feelings of the easily-offended or malicious. As I argued in May, its actions then were only likely to encourage others to attempt to close-down any discussion they personally objected to, and now we’ve seen the second cancellation in less than five months. By obstructing debate in this way, Leeds Council also goes against both its own claim to be “in favour of promoting free speech and debate”, and its stance taken in January 2015, following the Charlie Hebdo massacre when, at the vigil on the steps of the Civic Hall in defiance of that attack and in defence of freedom of expression, and attend by at least two city councillors, we were told that Leeds Council “stood in solidarity” with the Je Suis Charlie demonstrations taking place in France. Just three years later, Leeds City Councillors are taking it upon themselves to cancel meetings simply because someone fears the “views” that might “potentially” be aired at them. Well, I’ve got some shocking news for both the Council and objectors: any public meeting has the potential to “give a platform” to all sorts of views – that’s the point! Where do Leeds councillors think they get a mandate to decide what is “appropriate” to discuss on council premises? Why do the views of those who object to a meeting taking place override those organising it and wishing to attend? Is there anyone in Leeds Council who will stand up for freedom of speech and debate on public premises? Just in case they’re not regular Culture Vulture readers, I’ll be emailing this article to all Leeds Councillors, but directing any replies here where they can be publicly debated. Only approved speech is allowed. By order of Big Brother. Unfortunately some facts are missing in the polemic above. 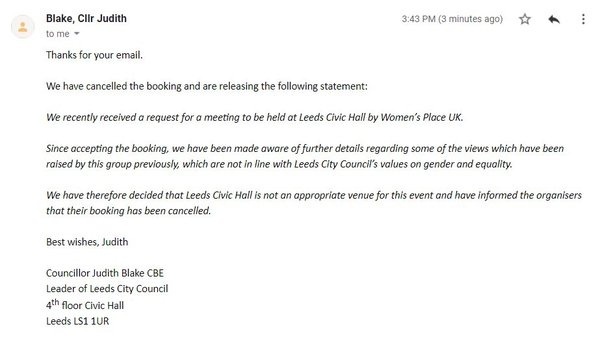 The first one is that WPUK’s booking of the room at The Civic Hall was not a Public meeting. Their meeting venues are always kept secret until the last minute when those that have booked by email are informed of the location. Those who oppose the arguments of WPUK are not allowed in these meetings. These meetings are not debates but panels of people who largely oppose the rights of Trans people – particularly Trans women. And so in the last year they have received protests by some Trans people and their supporters. WPUK claim to speak for women and feminists and lesbians but unfortunately they do not represent the views of all women, nor all feminists nor all lesbians. Many of us are in full support of Trans people and their human rights to receive acceptance and respect. The council received two letters when the event became public – to some – one from Leeds Non-Binary and the other from Leeds LGBT society in which they say they are hurt by the lies and sensationalism of some at and around WPUK and that therefore the group does not fit with the Council’s equality and inclusion policies. So they withdrew the room. This is not a ban nor is it censorship it is simply inline with equality legislation. 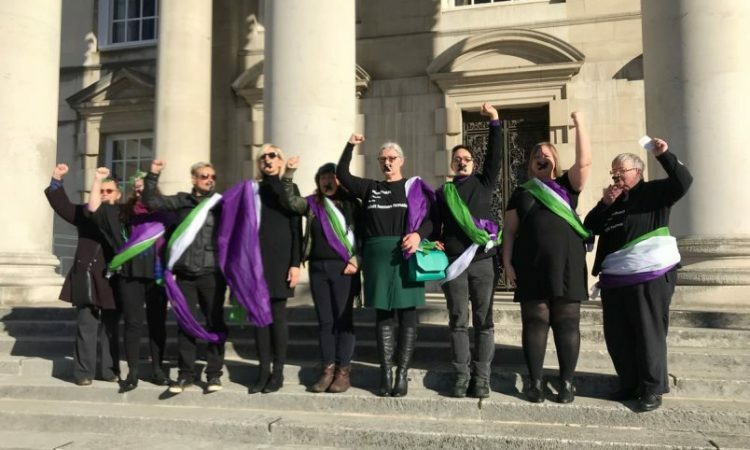 You can view videos of some WPUK events in which Trans people – particularly Trans women are ridiculed, laughed about, called sexual predators, mentally ill and more. In fact in some you can see violence being threatened. Obviously this is all very divisive and quite a sorry mess. But it would be fair to say that the Council is not obliged to host a group who are opposed to another minority group of oppressed people – I suggest that it would be unusual to do so. Some councillors have told me that the room was booked under a different name too. The views and attitudes of this group are not being no-platformed – they are all over tv, radio, press – Times, Telegraph, Spectator, Mail. Trans people are hurt, ridiculed, assaulted and murdered in the world and many end with taking their own lives. WPUK, no matter how hard we try, are not interested in any good news stories around Trans kids and adults who are accepted, worked with and supported – whichever decision they make for themselves. 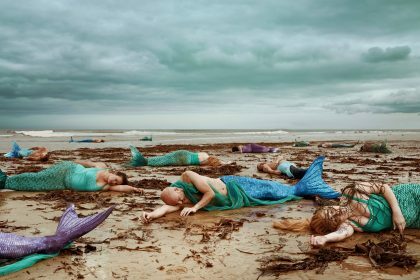 WPUK believe that The Gender Recognition Act will mean men invading women’s spaces. Why on earth would they when men are everywhere with plenty of power already. Institutions like Guides, refuges, prisons, schools and so on are bound anyway by equality legislation and all rights and characteristics are protected under the law and risk assessments cover all of them. Now obviously things can sometimes go wrong as they will under this system but that should not place the blame for those bad things on people who need to transition. Their lives, existence are hard enough as it is. Speaking the Truth’. Details about the venue were not released to the attendees by the organisers until the day the event was due to be held (last Friday). nature of the booking, including the fact that previous events had been the subject of bomb threats and serious protests. is our key concern for all events taking place in the building. The proposed event gave rise to the Council having serious concerns in regard to safety and security and with no time to undertake a full and proper risk and security assessment, and recognising the heightened security status that currently exists, these safety and security concerns became a principle consideration in the decision to cancel the event. that had been organised by the group in other parts of the country. towards eliminating harassment and discrimination in Leeds. It must have due regard to the need to eliminate discrimination, harassment and victimisation, and the need to advance equality of opportunity and foster good relations between those sharing a relevant protected characteristic and those who do not. the Civic Hall, and the impact of that meeting and the views expressed by those attending, would be likely to help promote understanding and tackle prejudice between different communities, or not. It was therefore reasonable for the Council to also take these matters into account in arriving at its decision to cancel the meeting. by the event organiser, on the advice of officers and in consultation with elected members, the council’s chief executive took the decision to cancel the meeting. consider all security, safety, risk and equality concerns. May 2018, it was decided the museum was not an appropriate venue due to potential protests accompanying the event and the fact the museum is a family attraction visited by children. individual, an organisation, or just a title is irrelevant. It’s also up to meeting organisers when they want start announcing their meeting. 2. As regards any protests outside previous WPUK meetings this, again, is irrelevant. Just as people should be free to hold a meeting, others should be free to protest outside of it. But should never be used as an excuse to cancel a meeting. As for previous bomb threats by. Any such threats we obviously malicious individuals trying to get a meeting stopped. The idea that trans-activists are going to start making and planting bombs at feminist meetings is just not credible – there have been no such attacks anywhere. And as for the general health and safety claims, this should be a purely technical issue. The only H&S concern with any venue is that it’s in a suitable condition to host an event. In our first couple of years, Leeds Salon used Leeds Civic Hall to discuss all sorts of controversial issues, including immigrations, racism, drugs and, ironically, ‘freedom in an age of health & safety’. No one ever inquired about the views that might be expressed in those meetings – which would be odd anyway. First, because it’s not something anyone can really know in advance. But mainly, and more importantly, because the point of a meeting is to allow all and any views on an issue to be expressed. prejudice between different communities”, that’s not a “reasonable” excuse to block debate. By acting in this way, city councillors and, it appears, unelected council officials are making a political decision as to what issues can be discussed, and what opinions expressed and in what way. 4. Finally, let’s look at the claim that the Council cancellation of the “Media on Trial” event at the City Museum in May due to it not being “an appropriate venue”. possible use by the Leeds Salon. They didn’t, at the time, state that any discussion needed to be “appropriate” for the Museum. However, as a metropolitan museum is meant to be a collection of culture and history, it would be difficult to actually think of many things that wouldn’t appropriate to discuss in it. A museum is, after all, a place for the public to muse. Q2. Why do the views of those who object to a meeting taking place count more than, and override those organising it and wishing to attend?